East Asia « Dr Deborah Swallow – Global Cultural Diversity..
Navaratri, one of the greatest Hindu festivals, begins today. Navaratri means ‘nine nights’ in Sanskri. The celebration symbolises the triumph of good over evil and the festivities last for nine days. 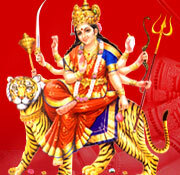 Navratri takes place at the beginning of October around harvest time. Here is the second set of ten from Asia. Enjoy! the world, from Afghanistan to Zimbabwe, have been collected from each of the 204 participating countries by the Scottish Poetry Library. I’m sitting in a hot, rickety van on a foldable seat. We are six, big Western people in the van, with our big, Western luggage stored at the back and among our feet. The air is humid, the road long and bumpy. In addition to vans, tuk-tuks are a common ride in Cambodia. The six of us make a group of volunteers teaching English in the small village of Bakod in Southern Cambodia. We are on our way to the capital, Phnom Penh, to indulge, for a weekend, with luxuries such as air-conditioning, cold drinks, and Internet connection. In Bakod, there is no electricity, only a few electric light bulbs to light up the quiet hours from 6.00 pm to 6.00 am. It goes without saying that we are all looking forward to be in the buzz of a city. The van picked us up from the village this morning, a very unusual practice. To catch a ride, people in Cambodia usually gather along a high way to find someone going to the same general direction as them. But we are the foreigners, the barang, thought to get lost in such endeavors. So, the van man agreed to pick us up. In Bakod the van man had a short conversation in Khmer with our local school instructor. “A few locals may hop in on the way,” our instructor translated to us, laughing. A few locals. No problem. It was van, after all. But now, sitting on the wobbly seats in the moving van, bouncing up and down with our luggage, hoping not to bang our heads to the ceiling, we look around in the van and find that space is scarce. “We can probably fit a couple more people at the back,” someone says. Yes, couple of people seems reasonable, three or four more will be a stretch. Once we get to the high way the driver stops the van and begins to advertise our destination with a piece of cardboard, which supposedly says ‘Phnom Penh’. After 10 minutes, two young men climb in and take the seats at the back. Shortly after them, a couple with a small baby enters the van, miraculously finding more seating at the back. Everyone is sweating. When the car is still, without the breeze of driving, the road is suffocatingly hot. Even inside the car, in the shade, my hair becomes glued to my forehead. “Do you think we’re ready to go now?” someone rhetorically asks.